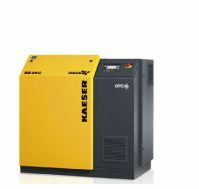 Kaeser provide an extensive versatile ‘packaged’ range of industrial quality blowers, engineered, industrialised with advanced German technology. Solutions to all your low pressure, high flow transfer requirements. 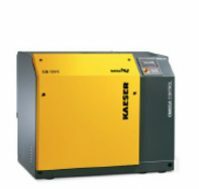 Renowned for its user-friendly, turnkey systems, clear display instrumentation, omega control, sigma control 2 or the sigma air manager technology per model design ensures efficient blower control and/or monitoring all-in-one system. Compact blower delivers more air with less power cost, making it the perfect choice for large water treatment plants, industrial product transfer and power generation stations. 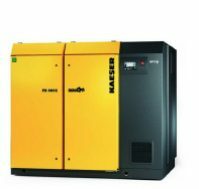 Available in the world renowned Omega or Sigma profile ‘airend’, Kaeser blowers are used in a wide range of applications, such as oil-free conveying of gases and bulk materials, water (aeration and filter cleaning). 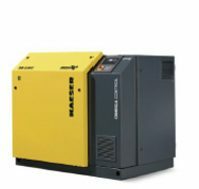 Liquid homogenisation and forced air for combustion equipment. Three-lobe Kaeser Omega blower block. The negligible pulsation characteristics of the three-lobed blower blocks make them the perfect choice for applications where thin-wall piping or ducting is used and where minimal discharge noise and resonance are essential. The precision machined Omega rotor profile ensures outstanding energy-efficiency with a model to suit all requirements. 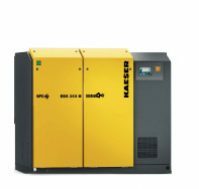 Overview: Quieter operation, extended service life and minimal maintenance requirements. 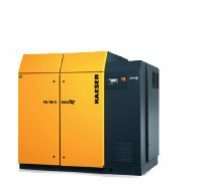 Developed in the company’s in-house Research and Development centre, the KAESER screw blower airend with the world-renowned SIGMA PROFILE is up to 35 percent more efficient than conventional airend designs. In addition to efficiency, durability was also an important development goal. The use of high-tech bearings and no need for ancillary equipment further minimises energy consumption and also enhances reliability. 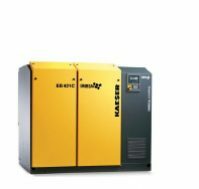 Pure efficiency with the SIGMA PROFILE DBS, EBS, FBS series Developed by KAESER in the early 1970's, the company’s proprietary SIGMA PROFILE rotor technology revolutionised energy efficiency in the rotary screw compressor sector. 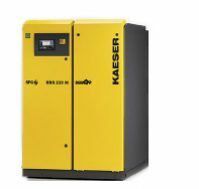 Further refined in the KAESER Research and Development Centres in Coburg and Gera, this high-efficiency compressor technology is now also available for users in the blower sector.